Home News Museveni fires IGP Kayihura and minister Tumukunde. Museveni fires IGP Kayihura and minister Tumukunde. This week Uganda was taken by storm, President Yoweri Kaguta Museveni sucking his longtime friend General Edward Kale Kayihura and Security Minister Tumukunde over failure to deliver what he expected from them. 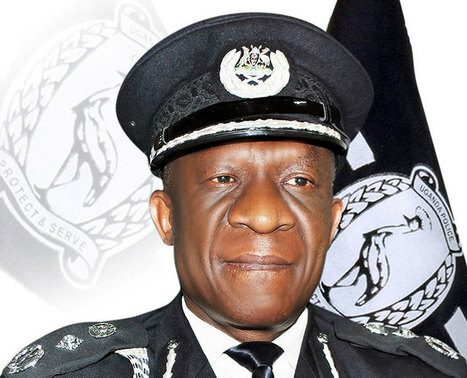 Museveni replaced Kayihura with Afande Martin Okoth Ochola who has been serving in the police force for over 30 years and Muzeei Sabiiti as the deputy Inspector General of Police who once served under Museveni’s son Muhoozi Kainerugaba. In the same context, Museveni fired and replaced Minister Tumukunde with bush war General, Elly Tumwine over allegations that he has completely failed to control the security of the country and unnecessary murder of people especially in Entebbe and the recent kidnap and murder of Magara. After the disappearance of Gen Kayihura from the police office, many police commanders have been transferred to different places and other suspended according to reports. The fall of Kayihura started several months ago when a couple of journalists championed by The Investigator’s CEO and senior Journalist Stanley Ndawula started writing about wrongs done by Kayihura and his right hand men which they called CIP records. Ndawula was later arrested under Kayihura’s directive and later released after social media’s cry “ReleaseNdawula” campaign. The CIP records became even better which resulted into the arrest of Nixon Agasirwe, Kayihura’s right hand man and other police officers who are still under arrest over murder and torture. That aside, the latest trending news is that Rwanda nationals have dragged Kayihura and other police officers in Uganda and Rwanda to the International Criminal Court over crimes against humanity which involve murder and torture of Rwandanese refugees.